And Don't Forget, Pelosi Also 'Drank The Reverend Jim Jones Kool-Aid'! Back on January 4th, Baltimore Magazine published this story titled "The Gavel Goes Back To Nancy D'Alesandro Pelosi Of Little Italy"with the return of the daughter of former Baltimore mayor Thomas D'Alesandro becoming the first House Speaker to actually regain the position after she had lost it in 6 decades. For those who may not be aware, Pelosi actually grew up in Baltimore's 'Little Italy' and while the Baltimore Magazine story neglected to weigh-in upon her father's checkered past, this January 21st story over at the website 'State of the Nation' fills in the blanks very nicely for us. As State of the Nation reported then, Pelosi's father, also a former US Congressional Rep from Maryland, was a constant companion of the notorious mobster Benjamin Magliano of the Baltimore Crew which operated in 'Little Italy' from the 1920's to the 1990's and was a faction of the Gambino crime family, with even former President John F. Kennedy concerned about Pelosi's father's relationship with organized crime according to this February 9th of 2018 story over at The Federalist Papers. 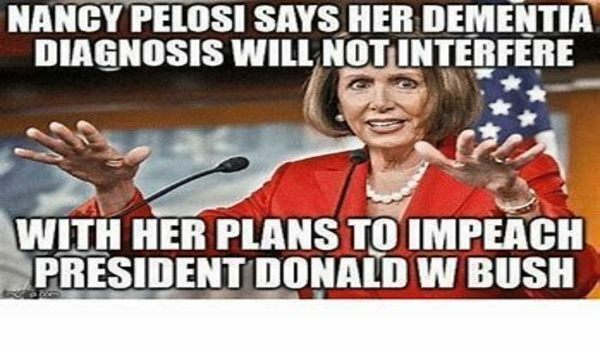 California Representative Nancy Pelosi was recently reinstalled as House Speaker by her Deep State masters to eventually become the first female president of the United States. She has been groomed from the beginning of her political career to be the quintessential court jester of American politics. Everyone knows the jester just like they know the town fool. They will do or say just about anything, no matter how foolish, as a means of getting everyone to underestimate them. And as we hear in the must-listen only video at the bottom of this story, with Pelosi now only behind POTUS Trump and VP Mike Pence in the presidential pecking order, a coup attempt to install Pelosi as President may very well be underway with our videographer giving us evidence that such a plot may have very well been recently prevented.